La Brasserie on Davie is for many the favourite poutine spot in all of Vancouver. 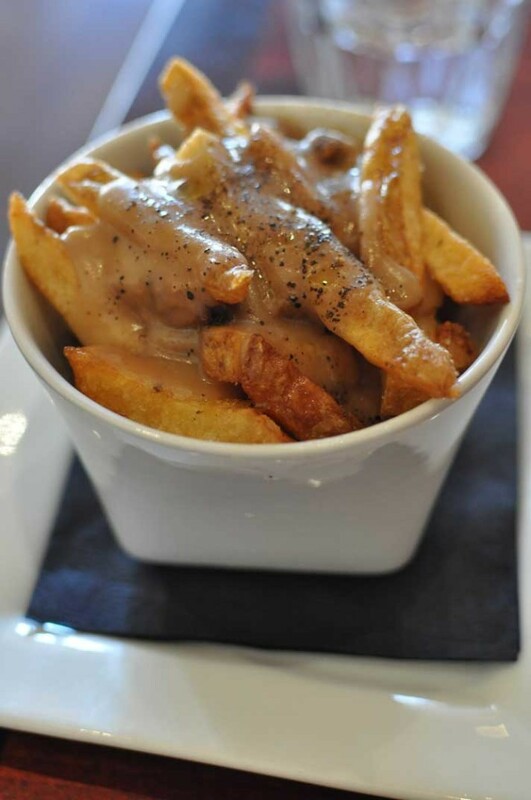 Their delicious Truffled Poutine is slightly non traditional and fancy; made with the right proportion of hand cut fries, cheese curds, light gravy and truffled oil. This poutine has a very nice truffle aroma, and each bite is just as good as the last. You can order this poutine as an appetizer itself for $9 or add $4 to upgrade your entree’s fries to the truffled poutine as well.